The Israeli air force conducted airstrikes on Syria for several hours on May 10, claiming that they were attacking Iranian forces purportedly stationed in Syria. 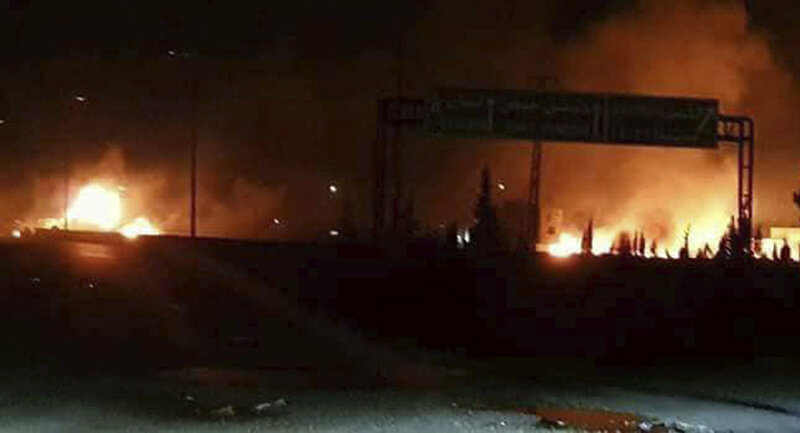 Damascus has denied the allegations and slammed the attack, which claimed lives of several servicemen. Among the targets picked by Israeli forces were an ammo depot near Damascus and a radar installation. The attack reportedly resulted in the deaths of several Syrian army soldiers. Sputnik Mundo discussed the latest Israeli airstrikes against Syria with Syrian journalist and correspondent for the Prensa Latina agency in Damascus Fady Marouf. He said that all the targets selected by Israeli forces were "Syrian" and that Iran "had nothing to do with it." Tel Aviv claims that Iranian Revolutionary Guard's Al Quds force had fired 20 missiles at the Golan Heights from Syrian territory. Marouf is confident that it was battle between Israel and Syria and as has been the case throughout the seven year-long war in Syria, Tel Aviv "was the first to attack." "The pretext [for the bombings] was to allegedly strike Iranian bases. But there are no Iranian bases in Syria. We have Iranian military advisers, who help the Syrian army fight terrorist groups. That's why only Syrian soldiers were killed and wounded," Marouf said. He also reminded that Syria hasn't conducted airstrikes on Israel since the Arab-Israeli war of 1973, but that Israel attacks the Arab country regularly, as it doesn't want to have a neighbor with a strong army. "Israel is afraid of it," Marouf added. He also noted that residents of Damascus went to their balconies during the attack to see Syrian air defenses intercept Israeli missiles over Damascus' suburbs, while Israelis hide in bunkers. "Syria wants peace, but today, after seven years of war, the Syrian people and army have become much more resilient. We are not going to give up," Marouf concludes.